After slamming the hammer on meta champions like Irelia and Galio, Akali is next. Riot has been on quite the nerf train lately. 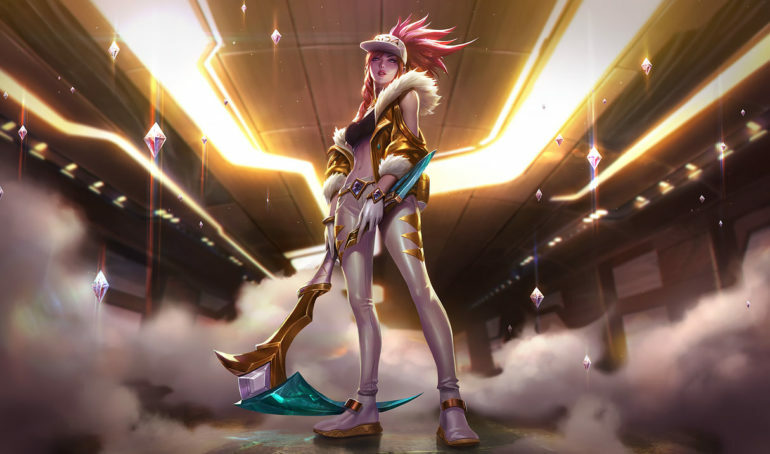 The League of Legends developer has apparently taken player complaints that there’s too much damage in the game to heart. After hefty nerfs to popular champions like Irelia and Galio, the company has set its sights on Akali. The nerfs that are being tested on Akali include her Q and her W, two key laning spells. Her Q will no longer provide a self-heal, and her W’s invisibility mechanic will no longer obscure Akali from towers—RIP those all-in tower dives. Her W cooldown will also increase a bit. The interesting thing about Akali is that her winrates are in the dumpster. She’s in the bottom six of all meta champions for both top and mid lane per League stats site Champion.gg. And in the tweet, Riot designer Kevin “Captain Gameplay” Huang indicated that the team wasn’t really trying to hit her solo queue stats at all. Instead, the W change is meant to limit the “perceived frustration” of playing against her. The implication is that Akali’s W is so frustrating it’s gotten into the heads of her opponents, even if she’s actually not that good of a champion. That’s a dangerous road to go down. Sure, it may feel bad when Akali dives you under turret, but it’s also something you know will happen going into the game. Is it really that much different from Teemo blind or other annoying champion mechanics? The change to her Q, on the other hand, is a likely welcome addition that makes her worse in professional play. Akali has tremendous priority around the world in pro play because her Q allows her to sustain through the lane until level six, where she has tremendous kill threat on the opposing laner. Pros are able to manage her energy levels much better than solo queue players, so the targeted nerf on that ability makes sense. But taken as a whole, it’s puzzling why Riot is hitting Akali so hard without any compensating buffs. After last year’s rework, it would be a shame to see her totally shelved because she got nerfed into the ground.